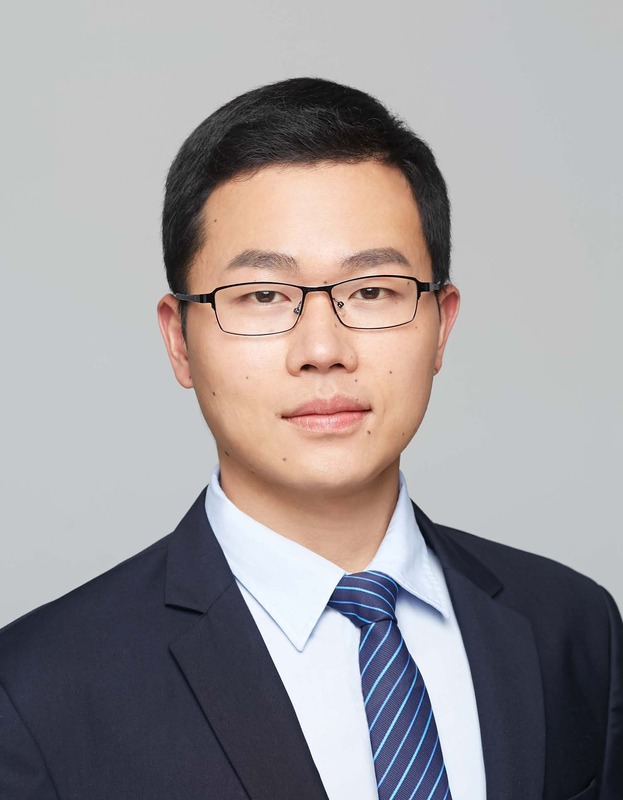 Haoran Yu is currently a Post-Doctoral Fellow in the EECS department at Northwestern University, advised by Prof. Randall Berry and Prof. Ermin Wei. He received the PhD degree from the IE department at the Chinese University of Hong Kong (CUHK), advised by Prof. Jianwei Huang. He was a Visiting Student in the YINS (the Yale Institute for Network Science) at Yale University, advised by Prof. Leandros Tassiulas. Professional Development Travel Grant, Northwestern University, 2019. Best Team Player Award, Network Communications and Economics Lab, CUHK, 2016-2017. Best Paper Award Finalist (one of 5 finalists from 1600+ submissions), IEEE INFOCOM, 2016. Best-in-Session Presentation Award, IEEE INFOCOM, 2016. Student Travel Grant, IEEE Communications Society for attending IEEE INFOCOM, 2016. Best Student Presentation Award, Network Communications and Economics Lab, CUHK, 2016. Overseas Research Attachment Programme, Faculty of Engineering, CUHK, 2015-2016. Global Scholarship Programme for Research Excellence, CUHK, 2015-2016. Student Travel Grant, IEEE Communications Society for attending IEEE GLOBECOM, 2014. Best Student Presentation Award, Network Communications and Economics Lab, CUHK, 2014. Research Postgraduate Student Grants for Overseas Academic Activities, CUHK, 2014. Outstanding Teaching Assistant Award, Information Engineering Department, CUHK, 2014. Silver Graduate Student Award (selection ratio 1%), School of Information and Electronics, BIT, 2012. National Scholarship (selection ratio 2%), China, 2008-2009, 2009-2010. New [2019.03] The paper "Pricing for Collaboration Between Online Apps and Offline Venues" is accepted by IEEE Transactions on Mobile Computing (TMC). New [2018.12] The paper "Analyzing Location-Based Advertising for Vehicle Service Providers Using Effective Resistances" is accepted by ACM SIGMETRICS 2019. New [2018.11] Two papers ("A Business Model Analysis of Mobile Data Rewards" and "Cross-Network Prioritized Sharing: An Added Value MVNO's Perspective") are accepted by INFOCOM 2019. New [2018.10] Haoran serves as the TPC member for WiOpt'19 and GameNets'19. [2018.04] Haoran serves as the TPC member for GLOBECOM'18 and NetGCoop'18. [2017.11] Our paper "Market Your Venue with Mobile Applications: Collaboration of Online and Offline Businesses" is accepted by INFOCOM 2018. [2017.11] Haoran serves as the TPC member for WiOpt'18 and GameNets'18. [2017.09] Haoran serves as the Publicity Chair for Fog Computing and Communications Workshop, to be held at CUHK in September. [2017.04] Haoran receives the NCEL Best Team Player Award. [2017.03] The paper "Mobile Data Offloading for Green Wireless Networks" is accepted by IEEE Wireless Communications. [2017.03] Our research on public Wi-Fi advertising receives press release from CUHK (here and here) and several news agencies (such as Telecom Asia, Computer World, Wen Wei Po, Sing Tao Daily, Ta Kung Pao, Apple Daily). [2017.02] The paper "Public Wi-Fi Monetization via Advertising" is accepted by IEEE/ACM Transactions on Networking (TON). [2017.01] Haoran serves as the TPC member for GLOBECOM'17. [2016.11] The paper "Auction-Based Coopetition between LTE Unlicensed and Wi-Fi" is accepted by IEEE Journal on Selected Areas in Communications (JSAC). [2016.10] Haoran serves as the Publicity Co-Chair for SDP'17 and TPC member for SDP'17, WiOpt'17, and WCNC'17. [2016.08] Haoran has passed his PhD thesis defense on "Optimization and Economic Analysis of Wi-Fi Networks". [2016.08] The paper "Cooperative Wi-Fi Deployment: A One-to-Many Bargaining Framework" is accepted by IEEE Transactions on Mobile Computing (TMC). [2016.04] The paper "Economics of Public Wi-Fi Monetization and Advertising" is selected as a Best Paper Award finalist in INFOCOM 2016 (one of top 5 papers from 1600+ submissions) and a fast track publication in IEEE/ACM Transactions on Networking. [2016.04] The paper "Power-Delay Tradeoff With Predictive Scheduling in Integrated Cellular and Wi-Fi Networks" is published by IEEE Journal on Selected Areas in Communications (JSAC). Copyright (c) 2016 Haoran Yu. All rights reserved.